$45.00 Ships within 24 hours. Possible Uses of Tenormin: This medicine is a beta-blocker used to treat high blood pressure and angina pectoris (chest pain). It is also used after a heart attack to improve survival. Controlling high blood pressure helps prevent strokes, heart attacks, and kidney problems. This medicine may also be used to treat other conditions as determined by your doctor. Before using Tenormin: WARNING: Do not suddenly stop taking this medicine without first consulting your doctor, especially if you have angina or heart problems. Serious side effects such as severe angina, irregular heartbeat, and heart attack may occur if this medicine is suddenly stopped. If your doctor decides you should no longer take this medicine, you must stop this medicine gradually according to your doctor's instructions. You should limit physical activity to a minimum while you are stopping this medicine. Contact your doctor immediately if your angina worsens or if you experience chest pain, unusual sweating, nausea, vomiting, shortness of breath, unusual tiredness, or irregular heartbeat. Some medicines or medical conditions may interact with this medicine. INFORM YOUR DOCTOR OR PHARMACIST of all prescription and over-the-counter medicine that you are taking. DO NOT TAKE THIS MEDICINE if you are also taking mibefradil. ADDITIONAL MONITORING OF YOUR DOSE OR CONDITION may be needed if you are taking medicine for irregular heartbeat (such as amiodarone, disopyramide, flecainide, quinidine, or lidocaine), clonidine, indomethacin, ketanserin, mefloquine, reserpine, certain medicines for blood pressure or prostate problems (such as alfuzosin or prazosin), calcium channel blockers (such as diltiazem or verapamil), or decongestants (such as pseudoephedrine or phenylpropanolamine). DO NOT START OR STOP any medicine without doctor or pharmacist approval. Inform your doctor of any other medical conditions including certain lung problems such as asthma or chronic obstructive pulmonary disease, overactive thyroid problems, heart problems (such as congestive heart failure), kidney problems, diabetes, allergies, pregnancy, or breast-feeding. 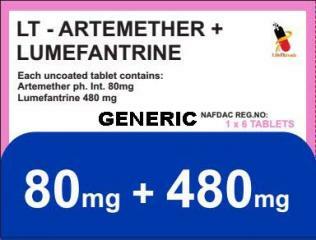 USE OF THIS MEDICINE IS NOT RECOMMENDED if you have a history of heart block, very low heart rate, very low blood pressure, uncontrolled congestive heart failure, shock caused by heart failure, or certain untreated growths of the endocrine or nervous system (pheochromocytoma). Contact your doctor or pharmacist if you have any questions or concerns about using this medicine. How to take Tenormin: Follow the directions for using this medicine provided by your doctor. This medicine may be taken on an empty stomach or with food. STORE THIS MEDICINE at room temperature, away from heat and light. Take this medicine regularly to receive the most benefit from it. Taking this medicine at the same time(s) each day will help you to remember. CONTINUE TO TAKE THIS MEDICINE even if you feel well. Do not miss any doses. IF YOU MISS A DOSE OF THIS MEDICINE, take as soon as you remember if it is more than 8 hours before the next dose is due. If it is less than 8 hours until your next dose, skip the missed dose and return to your normal dosing schedule. Do not take 2 doses at once. Precautions When Using Tenormin: DO NOT TAKE THIS MEDICINE if you have had an allergic reaction to it or are allergic to any ingredient in this product. DO NOT STOP TAKING THIS MEDICINE without checking with your doctor. Some conditions may become worse when the medicine is suddenly stopped. Your dose may need to be slowly lowered to avoid side effects. KEEP ALL DOCTOR AND LABORATORY APPOINTMENTS while you are taking this medicine. BEFORE YOU HAVE ANY MEDICAL OR DENTAL TREATMENTS, EMERGENCY CARE, OR SURGERY, tell the doctor or dentist that you are using this medicine. THIS MEDICINE MAY CAUSE drowsiness or dizziness. Do not drive, operate machinery, or do anything else that could be dangerous until you know how you react to this medicine. BEFORE HAVING ANY ALLERGY TESTS OR SHOTS, tell your doctor that you are using this medicine. This medicine may increase your risk for a serious reaction to the allergy shot. BEFORE TAKING ANY NEW MEDICINE, either prescription or over-the-counter, check with your doctor or pharmacist. This includes any medicines used to treat colds or congestion. CAUTION IS ADVISED WHEN USING THIS MEDICINE IN THE ELDERLY because they may be more sensitive to the effects of this medicine. FOR WOMEN: THIS MEDICINE HAS BEEN SHOWN TO CAUSE HARM to the human fetus. IF YOU PLAN ON BECOMING PREGNANT, discuss with your doctor the benefits and risks of using this medicine during pregnancy. THIS MEDICINE IS EXCRETED IN BREAST MILK. IF YOU ARE OR WILL BE BREAST-FEEDING while you are using this medicine, check with your doctor or pharmacist to discuss the risks to your baby. 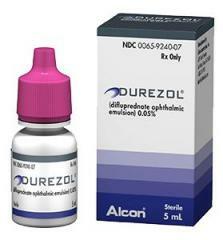 FOR PATIENTS WITH DIABETES MELLITUS: this medicine may mask signs of low blood sugar such as a rapid heart rate. Check blood glucose levels regularly. Side Effects of Tenormin: SIDE EFFECTS, that may go away during treatment, include mild drowsiness, lightheadedness or dizziness, diarrhea, nausea, unusual tiredness, unusual weakness, or dry eyes. If they continue or are bothersome, check with your doctor. CHECK WITH YOUR DOCTOR AS SOON AS POSSIBLE if you experience cold hands or feet. CHECK WITH YOUR DOCTOR IMMEDIATELY if you experience cough; sudden unexplained weight gain; persistent lightheadedness; swelling of ankles or feet; sexual problems; blueness of fingernails or palms of your hands; mental or mood changes; slow or irregular heartbeat; sharp or crushing chest pain; sudden shortness of breath; sudden leg pain; sudden severe headache, vomiting, dizziness, or fainting; changes, in vision; numbness of an arm or leg; or severe stomach pain. AN ALLERGIC REACTION to this medicine is unlikely, but seek immediate medical attention if it occurs. Symptoms of an allergic reaction include rash, itching, swelling, dizziness, or trouble breathing. If you notice other effects not listed above, contact your doctor, nurse, or pharmacist. Overdose of Tenormin: If overdose is suspected, contact your local poison control center or emergency room immediately. Symptoms of overdose may include very slow heart rate, severe dizziness, fainting, weakness, and difficult or slowed breathing. Other Information of Tenormin: IF YOUR DOCTOR HAS INSTRUCTED YOU TO CHECK your blood pressure and heart rate regularly, be sure to do so. Ask your doctor or pharmacist for help if you are unsure how to properly measure your blood pressure or pulse. There are several lifestyle changes that may also help reduce your blood pressure. Talk with your doctor about appropriate diet and exercise programs that may be helpful to you. DO NOT SHARE THIS MEDICINE with others for whom it was not prescribed. DO NOT USE THIS MEDICINE for other health conditions. KEEP THIS MEDICINE out of the reach of children. IF USING THIS MEDICINE FOR AN EXTENDED PERIOD OF TIME, obtain refills before your supply runs out.